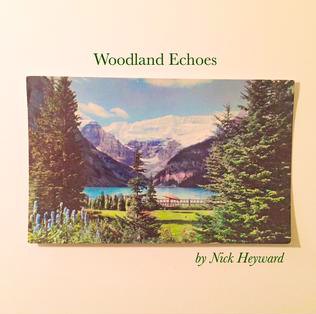 Seminal British singer Nick Heyward is getting ready to release his first solo album, Woodland Echoes, on November 3rd via Red River/BFE Entertainment. Recorded at his son Oliver’s studio, on a houseboat in Key West, and Zak Starkey’s Salo Sound studio in the UK countryside, Nick deliberated over the music until he felt it was ready. This album, like all of his work, is made with the same introspection and is heard on key tracks “Beautiful Morning.” “Love is the Key By the Sea,” “Who” and “Baby Blue Sky.” Heyward, who has always been singled out as a strong and thoughtful lyricist, continues his streak of songwriting success on Woodland Echoes.